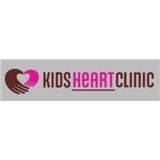 Kids Heart Clinic (Naperville) - Book Appointment Online! Kids Heart Clinic is committed to providing compassionate, dedicated and state of art care to children and young adults in need of cardiac care. We strive to be the center of cardiac care for patients with congenital heart defects in Greater Chicago and the state of Illinois. All of our staff are valued partners in our team approach to treat each patient with dignity and individual attention. Our goal is to make a difference in the lives of our patients and their families by providing quality healthcare in an environment built on KNOWLEDGE, INNOVATION, HONESTY, and TRUST.